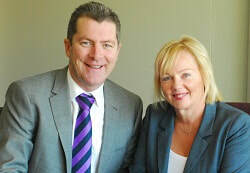 "the best financial planners in Adelaide"
Need Financial Advice in Adelaide? The Top10 Financial Planner Adelaide page is proudly sponsored by Steve Greatrex of Wealth On Track in Eastwood South Australia. Wealth On Track has its own licence and so is able to offer the broadest possible spectrum of advice, including ethical investing and loans. Steve Greatrex has worked in Financial Services since 1987, and has been a Financial Planner since 2002. He has a Bachelor of Commerce, Bachelor of Laws and is a Master of Applied Finance. Steve is the Founder of Wealth On Track. Wealth On Track has its own license (AFSL 465168) and so is able to offer the broadest possible spectrum of advice, including in ethical investing and loans. Steve is a Platinum adviser with Adviser Ratings. Wealth On Track is a fee for service planning business. In particular, we do not take commissions on investments. Wealth On Track is an active member of BusinessSA and was awarded a Word of Mouth Service Award. Wealth On Track is a 5 star Google rated Financial Planning business. Steve loves working with clients to achieve the best for them. He is interested in exploring the latest investment and trends whilst always leaving his clients well diversified and sheltered from harm. He is skilled in advising on both retirement planning and wealth accumulation clients. Steve is also experienced in advising on ethical investing. Andrew commenced in the Financial Planning Industry in August 1995 and has been an Authorised Representative of Charter Financial Planning since 1996. Andrew offers his clients his extensive experience in wealth creation and risk protection. He completed his Graduate Diploma of Financial Planning from Deakin University in 2002, and is a CERTIFIED FINANCIAL PLANNER® practitioner as designated by the Financial Planning Association. 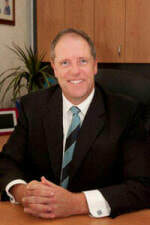 In 2011 Andrew won the FPA Certified Financial Planner Professional Best Practice Chapter Award. For almost 30 years John has worked with people to optimise their wealth. He began a thriving financial advisory practice in 1987 following a background in civil engineering and management. John became one of Adelaide’s first CERTIFIED FINANCIAL PLANNER® designation holders in 1992. He established Accumulus Ltd with a colleague in 1994, growing it into one of Adelaide’s most respected and successful advisory firms. In 2002 he merged it with Prescott Securities Ltd, a stockbroking and financial planning firm where he was a Director until 2007. John was named Money Management magazine’s Australian Financial Planner of the Year for 2001. He’s been a speaker at conferences on financial planning & practice management and was active in developing the financial planning profession in its formative years. He is a member of the Financial Planning Association (FPA), the Self Managed Super Fund Professionals’ Association of Australia (SPAA) and an SMSF Specialist Advisor. John is a member of Family Business Australia and sponsored their first business owners forum group in SA. He is the Managing Director and a Representative of Wotherspoon Wealth Pty Ltd (previously Astute Investing) where he and his colleagues offer high quality advice, emphasising personalised service. I provide Investment and Strategic Advice to individuals in relation to their wealth creation. I have a clear goal – for clients to achieve financial independence as early as possible enabling them to make personal and lifestyle decisions without the worrying of how to fund them. I enjoy both the personal and technical aspects of working with clients and seeing them achieve their goals. I have worked as an adviser for the past 20 years and have a Bachelor of Accountancy, am a CPA, a Certified Financial Planner as well as holding the designation of SMSF Specialist Adviser. In addition, I am Chair of the State Chapter for the SMSF Association and assist that organisation with education and advocacy in this sector. Mark has been in the Financial Advice industry since the late 1980’s. He has been advising clients directly since the early 1990’s and prior to the establishment of GEM Capital worked with many of his existing clients at a leading Australian stockbroking firm. Mark is a member of the Financial Planning Association and is a CERTIFIED FINANCIAL PLANNER® practitioner. He has a keen interest in investment advice and enjoys assisting people manage their financial affairs effectively that allows them to pursue the lifestyle they wish. Mark in his spare time enjoys Golf, Cricket and is a keen AFL supporter. He also has an interest in computing. 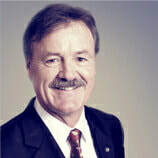 Geoff is a member of Self Managed Superannuation Professionals Association Limited (SPAA). He is also a CFP® professional. Geoff has been working in the financial services industry for more than 30 years and has held executive positions in banking and with a major South Australian credit union. His experience includes commercial and corporate lending, accounting and financial planning. He has been a practising financial planner since 1985. Every year Money Management magazine recognises excellence in the financial planning industry with their State and National Financial Planner of the Year Awards. Geoff was awarded the Northern Territory Financial Planner of the year in 1992 and 1993. In 1994 he was named Australia’s Financial Planner of the Year. Shan formed Platinum Strategies in 1998 and has worked in the financial planning industry for over 10 years. He holds a Diploma of Financial Planning and is a CERTIFIED FINANCIAL PLANNER® practitioner, which is the highest financial planning qualification achievable. His background is in accounting, holding an Associate Diploma of Accounting, and a Certificate in Business Advisory Services, through the Society of Certified Practising Accountants. Shan specialises in Self Managed Superannuation Funds (SMSF) and is acknowledged by the Self-Managed Super Fund Professionals’ Association of Australia Limited (SPAA) as a SMSF SPECIALIST ADVISOR™. Shan is committed to continuous education programs to ensure he remains at the forefront of the industry. He is currently undertaking an MBA through The University of Adelaide. His areas of expertise are self managed superannuation fund strategies and advice, estate planning, advanced tax and gearing strategies, risk management for individuals and corporate as well as succession planning. 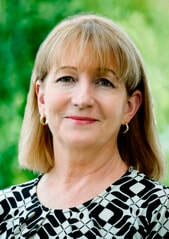 Shan is an active member of the Financial Planning Association and SMSF Professionals’ Association of Australia Ltd. He has also been a member of various professional organisations, including Rotary International and the Junior Chamber of Commerce. Matthew is the Managing Director of Hood Sweeney and is responsible for implementing the strategic plan of Hood Sweeney as well as being responsible for the day to day operations and performance of the business. Matthew has over fifteen years experience advising high net worth clients. Matthew’s skills are particularly appropriate for clients seeking professional advice in the areas of portfolio management, financial planning strategies, superannuation and advice for trustees of self managed superannuation funds. Outside of Hood Sweeney, Matthew is heavily involved in two charities and also the Financial Planning Association. Matthew is currently Chairman of the Financial Planning Association, Chairs the FPA Board Professionalism Committee, is a member of the Professional Conduct Committee and has been a past Chair of the FPA Principal representatives committee. I have been in the Financial Services Industry for over 20 years. I can provide a full range of services as outlined and specialize in Self Managed Superannuation Funds (SMSF) and Investor directed portfolio services. I enjoy working in this industry and aim to develop close working relationships with my clients to provide comprehensive and holistic financial advice based on their individual needs. Married with two children I enjoy spending time with family and love assisting with their various sporting pursuits. My favourite sporting activities are water and snow skiing. What do I enjoy about financial planning? I enjoy growing my clients’ wealth and providing security through financial independence. I have a strong belief that all individuals deserve freedom and choice and believe financial independence can assist in achieving these goals. Something you don’t know about me…. I used to play rugby for the Port Pirates to age forty and played in the Cup winning team in 2003.